Capitol Police Hero Crystal Griner Throws Out First Pitch At Congressional Women's Softball Game [VIDEO] - Joe.My.God. 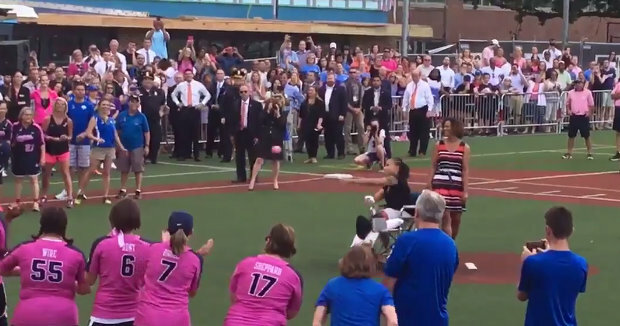 Capitol Police special agent Crystal Griner threw out the first pitch at the Congressional Women’s Softball Game just days after being injured in a shooting at the GOP’s baseball practice in Alexandria, Virginia. Griner has been recovering from a gunshot wound that struck her in the ankle. She was in a wheelchair before the game on Wednesday night. Lawmakers were at practice when a gunman opened fired on Republican lawmakers, congressional staffers and lobbyists.